A weighted vest, also called weighted vest, is an adjustable vest with small weights that are slid into pouches that go all the way around the vest. It is worn during exercise to lose weight, gain muscle and improve cardiovascular conditioning. It can also help burn more calories when used while doing regular activities such as working, going to the mall or shopping for groceries. Athletes use weight vests to improve their speed, lateral movements, and vertical leap. Other benefits of weight vests include enhanced bone density, improved balance and better posture. 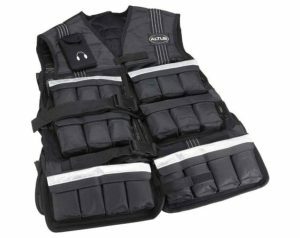 Weighted vests are usually made from strong abd breathable fabric, such as nylon and mesh, with built in pockets where weights can be slipped in or removed, depending on the resistance the user requires. The vest is padded for comfort and has adjustable staps and belts to ensure that it is snug to the body and does not restrict movements. Some models also include pockets for smart phone or MP3 player. When shipping a weight vest, it must be properly packed to avoid damage. Here are some tips on how to properly pack and ship a weight vest. Keep the weights in their respective pockets, making sure that they will not slide out during transit. Fold the vest if possible to make it smaller in size, then, place inside a plastic bag. Wrap generously in bubble wrap. It should be tightly packed so that the weights will not move around. Use tape to keep the wrap in place. Get a sturdy cardboard box and line the bottom with a layer of packing peanuts. Place the wrapped vest on top of the peanuts and fill the remaining spaces with more packing materials until the box is full and there are no space for movement. Close and seal the box with packaging tape. Address and label the package and take to your post office or shipping company.